Air Flow: The vent fan you purchase must send air outdoors while also removing excess pollutants, moisture, and heat. To determine its effectiveness, check the cubic feet per minute (CFM) rating of any product you are considering buying. It should at least match your stove. For example, a 30-inch stove should have a CFM of 300 or greater. Controls: A multispeed or variable speed fan helps the range hood operate correctly. Some products even come with remote control operation. Ease of Cleaning: Keeping the vent fan clean is easier when the filter comes loose without a struggle and it has smooth surfaces. Lighting: You want a vent hood that is energy efficient and provides even lighting. The Energy Star label is a good indication that the product you're considering offers both. Noise Level: The amount of noise your unit makes depends on its sones rating. If having a quiet fan is important to you, look for a lower number. 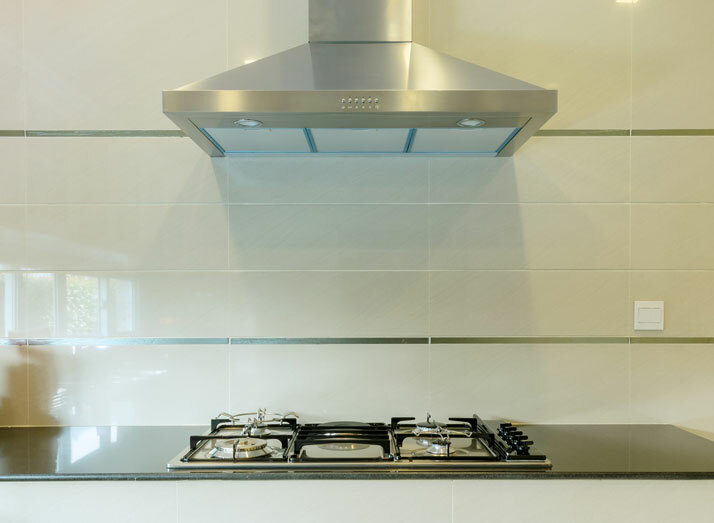 Style: The range hood you select should blend in nicely with the décor of the rest of your kitchen. Venting: When you install the range hood, make sure it vents properly to the outdoors. You may need to place a flap on the outside portion to prevent moisture and animals from getting into your house. As long as you do your research and make a good buying decision, this product will be one that is easy to take for granted.